Prime Minister Andrew Holness announces the declaration of a State of Public Emergency for sections of Kingston. Also pictured (from left) are the Dr Horace Chang, Minister of National Security; Major General Antony Anderson, Commissioner of Police; and Major General Rocky Meade, Chief of Defence Staff. 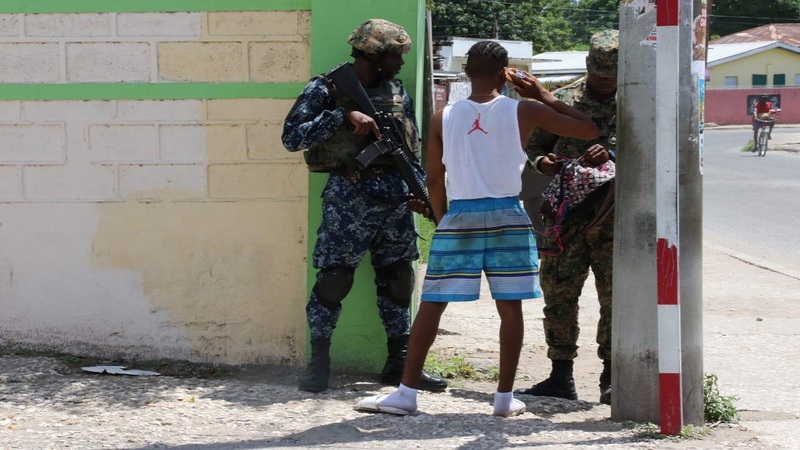 Prime Minister Andrew Holness has indicated that the ability of the security forces to adequately deal with the crime situation in some violence-plagued communities of the capital city had been constrained by the high levels of crime in existence. 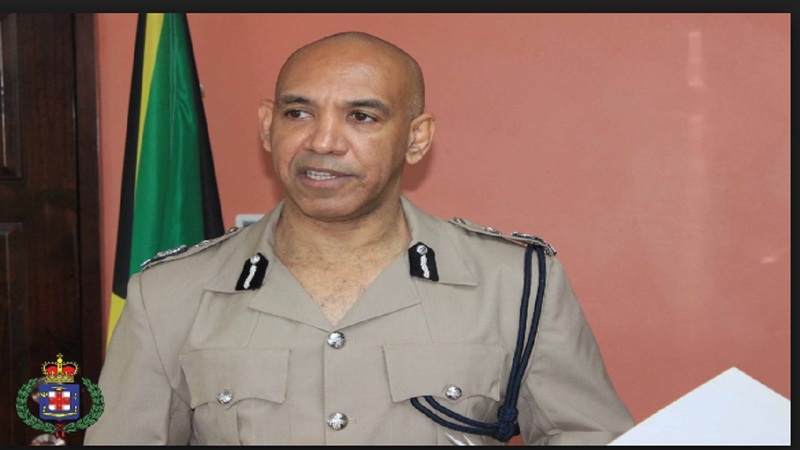 That, he said on Sunday, was a major justification for his Administration to impose a state of public emergency in three police divisions across the Corporate Area, - namely St Andrew South, Kingston Central and Kingston Western. 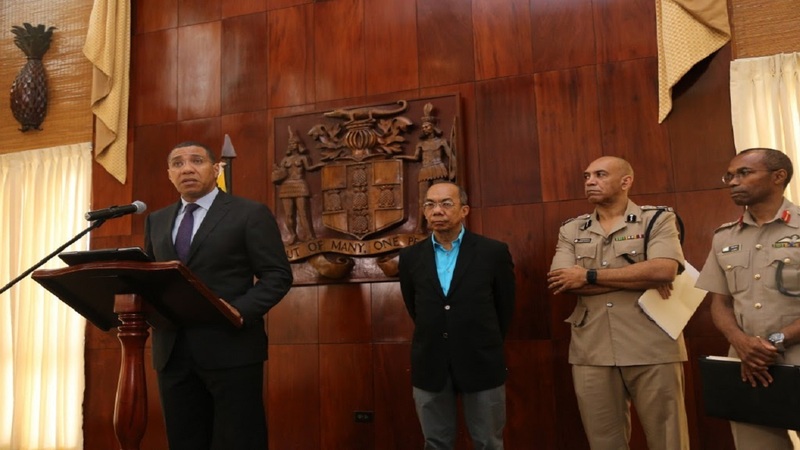 “The Government considers the crime situation in these areas to be over and above the capacity of existing law enforcement,” Holness stated as he made the case for the imposition of the latest emergency measure that took effect at midnight on Saturday. He was speaking on Sunday at a press conference at Jamaica House. “The objective (of the state of emergency) is therefore to degrade and erode the capacity of criminal organisations to operate and control these spaces, to break and indeed challenge the culture of criminality and lawlessness that exists in some communities in these areas, and ultimately to provide the space within which law-abiding citizens and regular policing can work together to maintain peace and harmony in these areas,” Holness said. An active security checkpoint within the borders of the new state of emergency in sections of the Corporate Area. With a third state of emergency now in place, the prime minister is insisting that the Administration never considered an island-wide imposition of the emergency measure. “If you’re going to use the state of emergency as a knee-jerk response tool, then you could contemplate an island-wide state of emergency,” Holness noted. He explained that the emergency measure could be imposed island-wide in the event of a natural disaster. “But the state of emergency also gives you powers that you can use for the long-term degrading of the capacity of a threat. And so we are using the state of emergency, the powers that are included there for the erosion of capabilities and the degrading of the capacity of what we consider to be long-term well-entrenched threats to our public safety, rule of law and the ability of our citizens to enjoy a peaceful quality of life,” the prime minister said while responding to questions from journalists. And, he warned criminals to be aware that the Government will use every legal tool at its disposal to contain criminality, with a state of emergency being just one of those tools. The prime minister also warned that every community where so-called dons operate with impunity will be addressed, even as he appealed to residents to co-operate with the security forces. 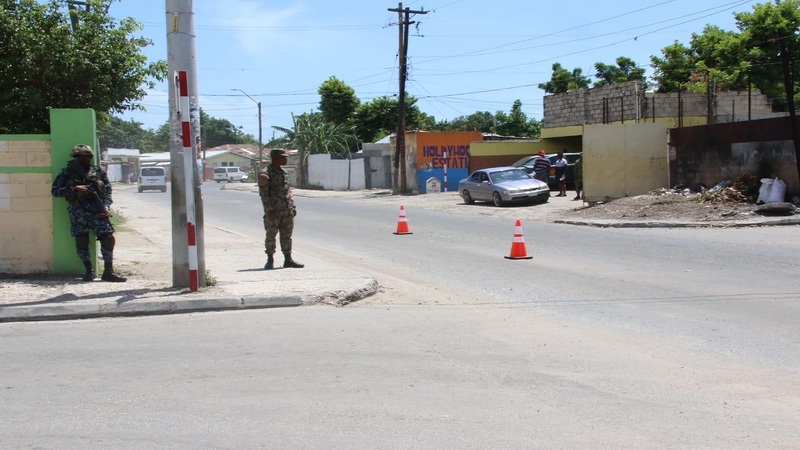 Residents of several inner-city communities within the Corporate Area across the three police divisions on Sunday woke up to an increased security force-presence as joint police/military teams descended on the affected areas overnight and in the early hours of Sunday morning, as the latest emergency measure took effect. It will initially last for 14 days and can only be extended by a two-thirds majority vote in both houses of Parliament. Arnett Gardens, Denham Town, Greenwich Town, Hannah Town, Jones Town, Rose Town, Tivoli Gardens, Trench Town, Whitfield Town.